Hey guys, quick giveaway. 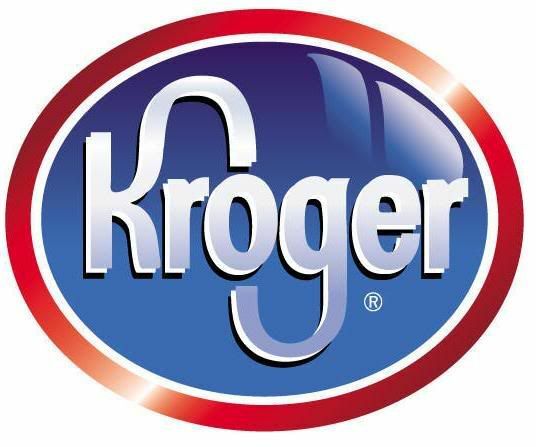 $25 gift card to Kroger (or other family stores) up for grabs. I love when Kroger's does stuff like this because if you shop at Kroger's at all, you know they can have some amazing deals (especially if you use coupons, too). I was just there last night and walked away with $80 worth of food for $35, wee! I know I could've increased those savings, too, had I been watching coupons more, too, but I was happy with that. Anyway, what this promotion is for are General Mills and Kimberly Clark brands for their "Add Up the Savings" event. Buy 8 participating items and get $4 off instantly. That includes your favorite food items like Pillsbury biscuits and General Mills cereals, but also non-food items like Huggies, Cottonelle, Kleenex, too. Gah, I sound like such an advertisement, huh? Blah. Just go to the store and look around....the sales are awesome right now. The sale ends Aug 21st, though, so I'm obviously late getting this info to you. "All you have to do, if you haven´t already, is register at www.RewardYourSchool.com. Once you register, you will automatically receive 5 Bonus Box Tops just for signing up! You will also receive custom offers for Bonus Box Tops for purchasing participating products. The offers you select will then load onto your Kroger Shopper Card to be redeemed once you purchase the items. It´s extra easy because there´s no clipping! Just remember to scan your Kroger Shopper Card and the Bonus Box Tops will automatically go straight the participating school of your choice. " So if you're already going to be buying General Mills stuff to get your $4 off, you'll be racking up extra box tops, too. Easy peasy. The girls' school is tiny (around 100 kids) and they still make a couple hundred bucks every year off turning in box tops. My favorite grocery store is Harris Teeter. I like Smith's becuase they such great deals and with the rewards card can't beat it. I subscribe to Quirky Jessi by email. Favorite grocery store is Kroger. Kroger (Dillon's) is the only grocery in our town other than Aldi's, which I rarely get to. I love the Kroger sales of buy so many items get so much extra off your bill. The gift card would be an awesome prize to win. I am following you by email. I like Macey's bcause the prices are usually pretty good. My favorite grocery store is Scott's Food & Pharmacy :) *Thanks* for the giveaway! My favorite grocery store is Kroger. My favorite grocery store is Trader Joes, but I also shop at Kroger and Publix. I really like our local farmers market! my favorite grocery store is Kroger - it's only a mile from my house & they have everything. I subscribe to Quirky Cookery w/Google Reader.